We are offering this as a core service from Installation to commissiong including splicing work. We also undertake Fiber cable laying, Fiber Splicing, OTDR Reporting, LIU fixing and installation, IO termination, Jack Panel termination, Rack Dressing, Cable patching, End to End testing with numbering, LAN Cabling & Network Installation services. All type of Optical cable splicing work. 12/24/48/96 fiber optic cable Splicing. Ribbon Fibre Cable and Single Fiber Both type machine avaible for Splicing work. Our organization has successfully expanded its business in market owing to the offered OFC Splicing. Sistemos Information Technology Pvt. Ltd.
We have 3 teams for Splicing & Testing of Single Mode (SM) and Multimode (MM) Optical fibres. Handled various types of cables with capacities of 6/12/24/48/96 Fibres. We have executed over 2000 cable joints with different fibre capacities. Our clientele include BSNL, Bharti Mobiles, Tata Teleservices, GAIL, PGCIL, Reliance Infocomm and NHAI. 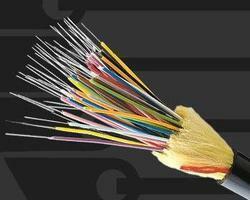 Captivating the skills of our professionals, we are involved in rendering Cable Splicing Service.